My First Quilt has a face! 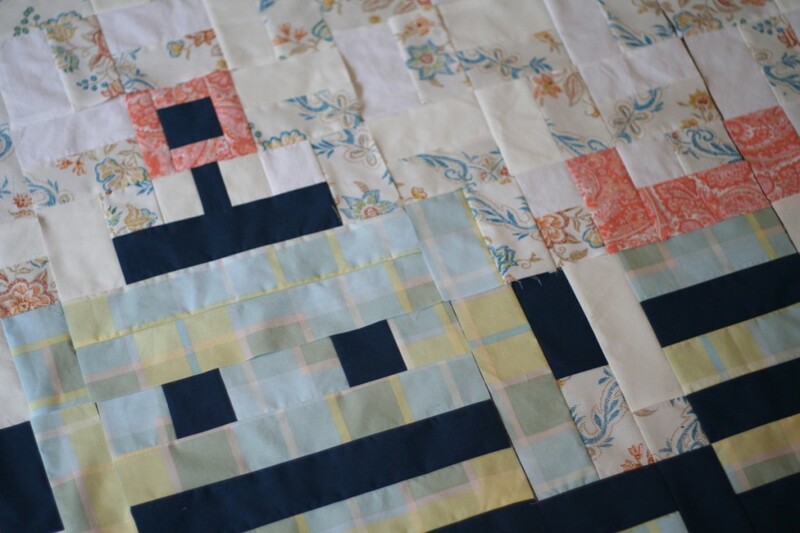 I have to be honest, I wasn’t entirely sure about this robot quilt for the first few rows of blocks. Then his face appeared out of four blocks, and I was reassured that it is really cute. I’ve decided to add one row of blocks to the bottom of the quilt. This will make the finished length about 7 feet long, instead of 6, which means I won’t have to worry about my feet sticking out of the end of the quilt, which is really the goal for me with any blanket/quilt/afghan. Current status: 22 of 35 blocks done! This entry was posted in in progress, quilting. Bookmark the permalink.